SHEMAR greets fans at a nightclub appearance in 2009. 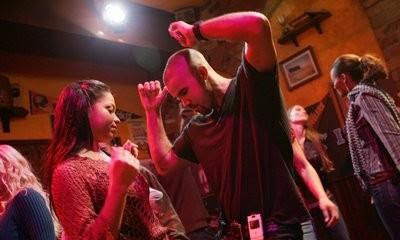 Derek Morgan dances in a nightclub on CRIMINAL MINDS. Wonder who is more fun in a club, Morgan or SHEMAR?